Luxury bed socks in a natural grey. Hand knitted in UK from a soft, yet hard-wearing blend of 70% alpaca and 30% merino wool. 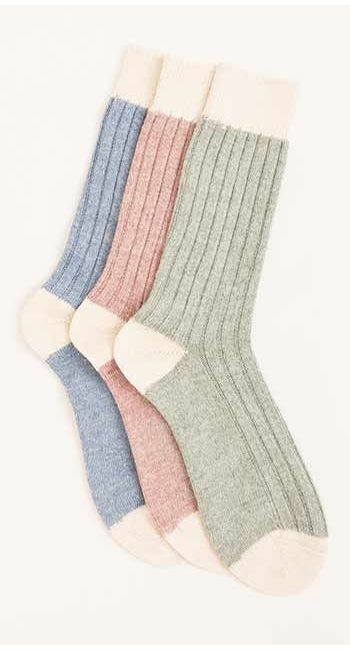 These loose-fitting ribbed socks are guaranteed to keep your feet warm and cosy - the more you wear them the cosier they will become. Three sizes available: adult UK size 4-7, 8-10 and 11-13. All the wool is sourced from british animals and the yarn is made in Devon. They should be hand washed in cool water and air dried.